Nearly 50 years ago, my grandfather Thomas was in political exile, running for his life and campaigning for change in his homeland of Formosa. He was named Chairman of the Taiwan Democratic Independence Party, the primary opposition movement to the Nationalist Party that ruled Taiwan with martial law. At the same time, he was arrested in Tokyo for speaking out against Chiang Kai-Shek, and sentenced to deportation to Taiwan, which meant certain death. Meanwhile, my grandmother Anna was staying in British Hong Kong, a safe haven from the political turmoil in Taiwan. With four young children and little money, she was powerless to help her husband, return to her husband’s family in southern Taiwan, or stay in Hong Kong indefinitely. Anna had grown up in New York City’s Chinatown, and wanted her children to be American citizens. With her husband’s life hanging in jeopardy, Anna raised money selling prescription drugs on the black market to bring her kids to America. Meanwhile, Thomas was able to broker a deal for himself: instead of death at the hands of the KMT in Taiwan, Thomas was allowed to remain under house arrest in Japan. There, he continued to rally support for his political cause. When Anna raised enough money, she brought her children to America to be raised as New Yorkers. And never spoke of her husband or Taiwan again. 30 years later, my father Richard received a plane ticket and an offer to go meet his long lost father in Taipei. Having grown up telling everyone that his father was dead, he approached this long-delayed reunion with trepidation and ambivalence. 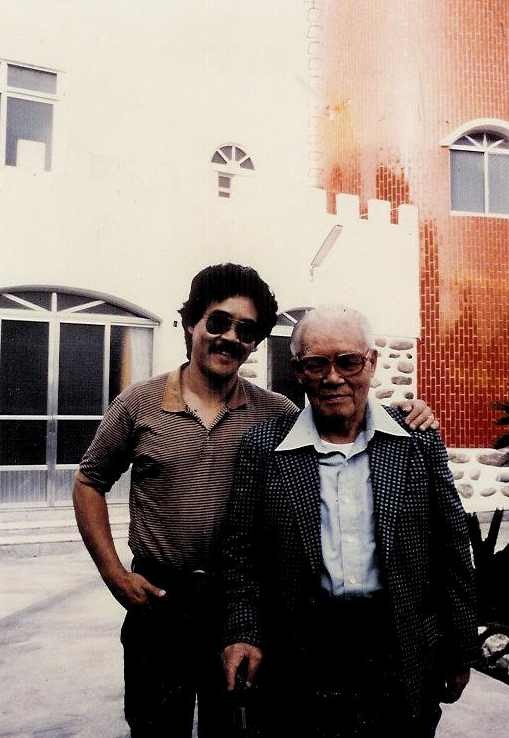 In Taiwan in 1979, he met Thomas, his father by blood but not by experience, and a host of relatives, who referred to my father, his mother and siblings as “The Lost Family” who had gone to America. But my father only learned a few sketchy details of his father’s political activities, and of his parents’ adventures in Taiwan and Hong Kong. In 2007, I began a search to discover the rest of the story. That search has taken me to visit my father’s siblings, hear their recollections of early life in Taiwan during and after World War II, and their memories of my grandmother Anna, a courageous survivor of an orphaned childhood, a war, and a battle for the lives of herself and her children. Now I am going to Taiwan to learn about the life of my grandfather Thomas, a larger-than life historical figure whose actions directly shaped the lives of my family: the Liaos. The Lost Family who grew up American. More on the Lost Family, my preparations for the trip, and the life of this writer– coming soon! Kim, your blog is beautiful! Your story is so moving and interesting. I am looking forward to reading about all aspects of your journey. Happy and safe travels! Looking forward to more, kimlet. And thanks for the explanation–I thought Formosa was a cocktail of some sort. Aahhhh! Kim you are amazing! I can’t wait to read your entries and your eventual book. What an adventure! I hope it’s a wonderful adventure and I look forward to hearing about it all. This will be awesome, Kim. Congratulations, and have fun! Am so excited for this to be up and running! Read the bio for The Girl, and am proud to be such an accomplished person’s friend :o). Congratulations, Kim! Glad I can say I read some early drafts from this book. Can’t wait to read more some day – hopefully in hardcover! You’re at the top of my iGoogle feeds…have a good trip over and look forward to your reports. Will be following/reading with great interest! Kim, your account really strikes a chord with me. 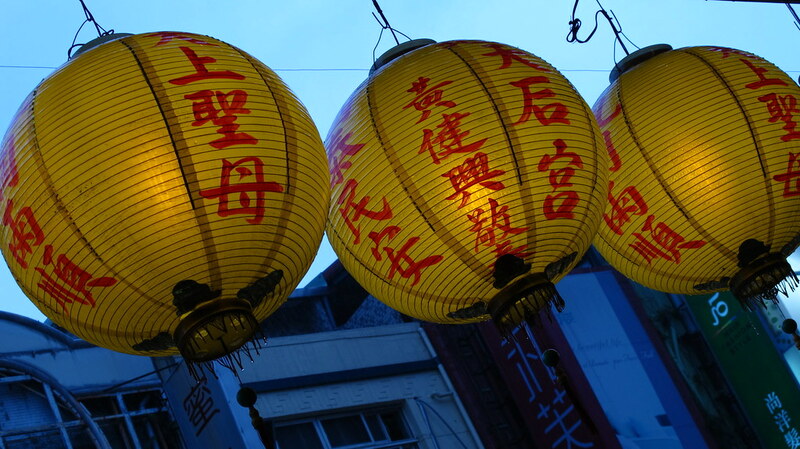 My great-uncle fled to Taiwan on the eve of the Communist takeover, only to return to Shanghai a year later because the political conditions were no better on the island. With his unexpected arrival my grandmother decided to leave for Hong Kong at the tender age of 22. It was the last time that she would ever see her mother. Growing up I’d hear stories of my great-grandfather’s exploits in America, his eventual return to China, and the life that my grandparents left behind when they fled from Shanghai in the 50s. From Hong Kong they eventually sought a new beginning in Canada, foreshadowing the mass emigration that would follow after the Tiananmen Massacre of 1989. Ever since my grandfather’s sudden death a few years back, I’ve taken it upon myself to document my colourful – and at times harrowing – family history. There are still a lot of missing pieces but fortunately my grandmother is still alive, and more than happy, to tell the tale. I’m looking forward to reading your book when it comes into print – perhaps it will inspire me to do the same. I am no writer but there are stories that demand to be told. Best of luck! Kim, that is definitely an awesome story and I look forward to reading your book. It’s awesome how our generation has so many great stories of our grandparents fleeing from one country to the next and ending up, I would think for the better, in The States. I’ve been getting into historical fiction as of late, currently reading “Old Town,” by Lin Zhe, and it covers four generations in China during the 20th century. The book also covers Taiwan briefly during and after the Chinese Civil War, interesting stuff. I just wanted to say I am definitely inspired by your project and like “James” commented above, given me more reason to start documenting stories about my family history “Cambodian/Burmese born Chinese” and how ultimately I ended up here in San Francisco. Thanks again for the blog!